One of the essential things to keep in mind before traveling abroad is finances. After all, you can’t expect to be enjoying an alien country, its culture and lifestyle if your purse runs dry midway into your trip! How much money can you carry? What is the current exchange rate? What are your spending opportunities? And perhaps most importantly what would you bring home as a souvenir? These are just some of the questions you need to have answers for when you are traveling abroad. Understanding the economics of the country you are planning to visit is as essential as knowing about the strength of your country’s currency. It is always advisable to plan your foreign trip at such times when the exchange rate favors you. A pleasure trip, after all, should also come laced with value for money. For a European planning a trip to the US, there has been no better time than now. The US dollar has significantly depreciated for the last couple of years with respect to Euro and other European currencies. What this means to Europeans traveling to the United States is that they get to spend less on what they would have spent a year or two ago. From flight fares to airport transfers, shopping to crisscrossing the States and shopping, the cost of everything has come down in the last few years. While the US dollar has depreciated, Euro and other European currencies have gained in value. Apart from affecting import and export, the favorable exchange rate has made it easier for Europeans to plan their US trip far more conveniently and of course, boast about it during their tour! There are several things that have changed for a European planning a trip to the US in the current situation. You can do so many things that would have been a wishful dream a few years back. You can explore more without really hurting your pocket. If you haven’t booked your US trip yet, this is just the right time to do. Probably waiting for the vacation season won’t be a good idea as things may change in the upcoming months and year. So what are the advantages we are talking about? Let’s break them up for you. One of the things every traveler looks forward to while visiting a new country is the shopping opportunities that he or she can explore. There are many countries in the world which have become famous as shopping destinations such as Bangkok and Dubai. Among the many things that the United States is famous for, shopping is definitely one of them. Every state within the country offers something special for the shopaholic hidden inside you. But if you have been worrying about spending too much on shopping and thus limiting your traveling options, you may not need to think too much right now. With a weaker US dollar, you will have more money in terms of your native currency. Doesn’t that sound great? So while you may think you are spending more while shopping, you are actually not really depleting your savings. While this could only mean buying an extra pair of branded shoes than what you would not have done in other circumstances, the stronger foreign currency gives you an edge that you cannot ignore. You can now explore the shopping arcades of New York City, San Francisco or Las Vegas without guilt. Not sure if you are eligible for applying? Check here the requirements for ESTA Authorization. The current exchange rate doesn’t only favor the regular tourist but also brings good news for a businessperson. If you are a European looking for opportunities to invest in properties in the US, this should be the right time for you to seal the deal. A weaker dollar has brought significant changes in the realty sector with more opportunities for a European to invest without actually spending a lot. You can now think of expanding your business in the States in a favorable manner, especially by investing in tangible assets such as property. You can buy more with your foreign currencies as compared to the US Dollar and thus take advantage of the purchasing power bestowed upon you. If a penthouse in Downtown LA or a spacious office in Manhattan has been in your dreams, it is time to realize them. The most obvious advantage that any European traveling to the US in the current situation has is that he or she can now travel more freely and not worry about the credit card dues after the long and exciting trip. If earlier you had planned only on visiting NYC to cut expenses, you can now look at visiting more exotic locations such as Las Vegas and try your luck in the casinos. Visiting the casinos of Vegas may have been a dream till now but no longer. The chances of you playing an odd bet are more with your stronger currency. Moreover, you can also invest in luxurious transfers with the States without worrying about depleting your resources. A chauffeur driven limo is no longer going to be a fantasy. Your chances of seeing more of the United States within a two-week stay has brightened in the face of a weaker dollar. There is definitely a feel-good factor in the current scenario for a European that simply cannot be ignored. Though there is no guarantee that this favorable condition will continue for long, you should make the most of the current situation. 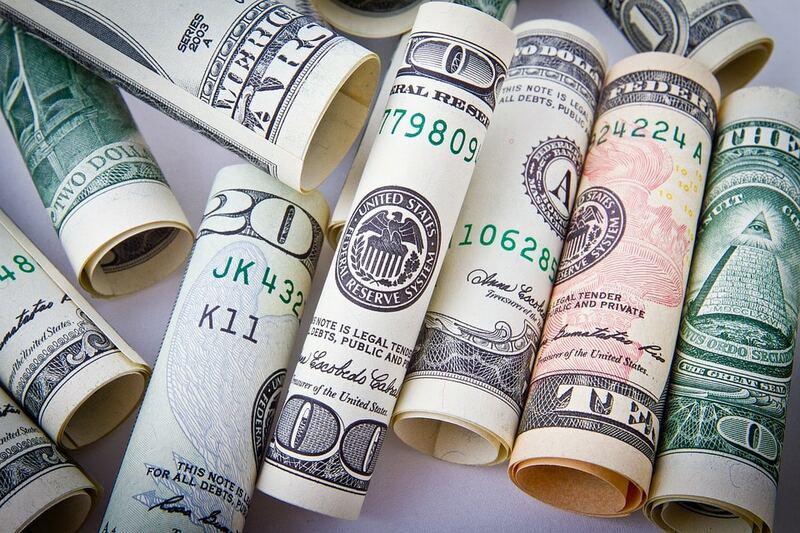 While there are many theories as to why the US dollar has depreciated in recent times from speculations on increasing borrowing costs to fluctuating world currencies, there isn’t anyone reason for the situation. Irrespective of why the dollar is weak at the current moment, the Europeans, especially those planning a trip to the States, should be able to save more than they expected earlier.